Bandy by Bonaldo is a convertible sofa designed to blend in seamlessly with contemporary settings.It’s a very famous piece of Bonaldo company because of its modernity and iconic elegancy without never becoming intrusive. 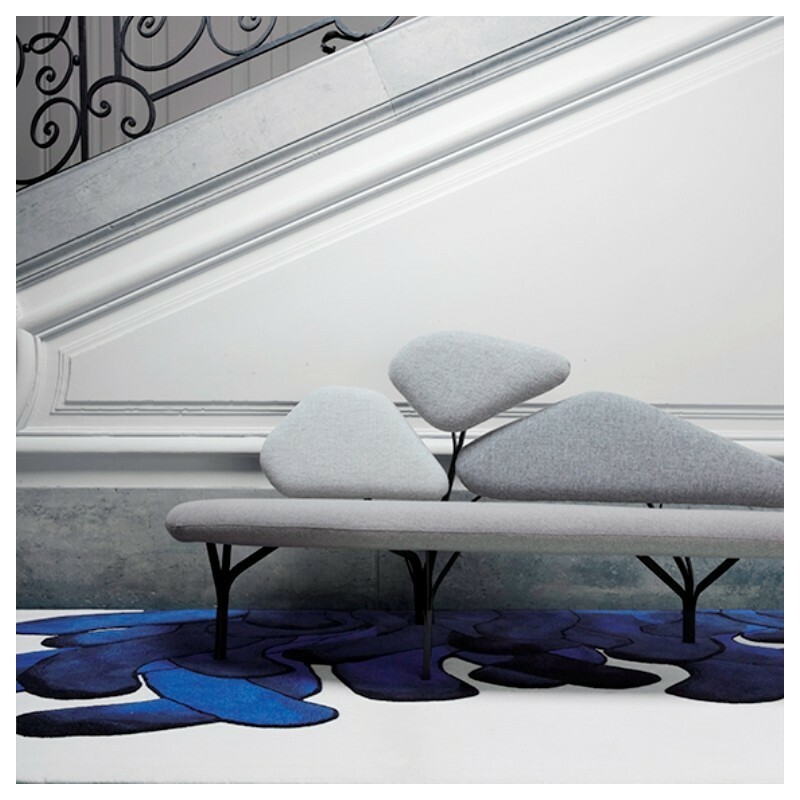 It’s very simple to convert this sofa into a bed: the manual mechanism moves the seat forward and lowers the backrest to form a comfortable bed surface.The base is in mat painted metal, padding is made of polyurethane and upholstery can be in removable fabric or leather available in a wide choice of colours.The stitching can also be in the same colour or in contrast with the upholstery (Bandy plus version). Barnaby designed by Perrine & Gilles for Sancal is a soft and comfortable sofa entirely upholstered and coated with fabric available in a wide choice of colours. This tradition was particularly prevalent on Spain’s Mediterranean coast and was crying out to be updated. 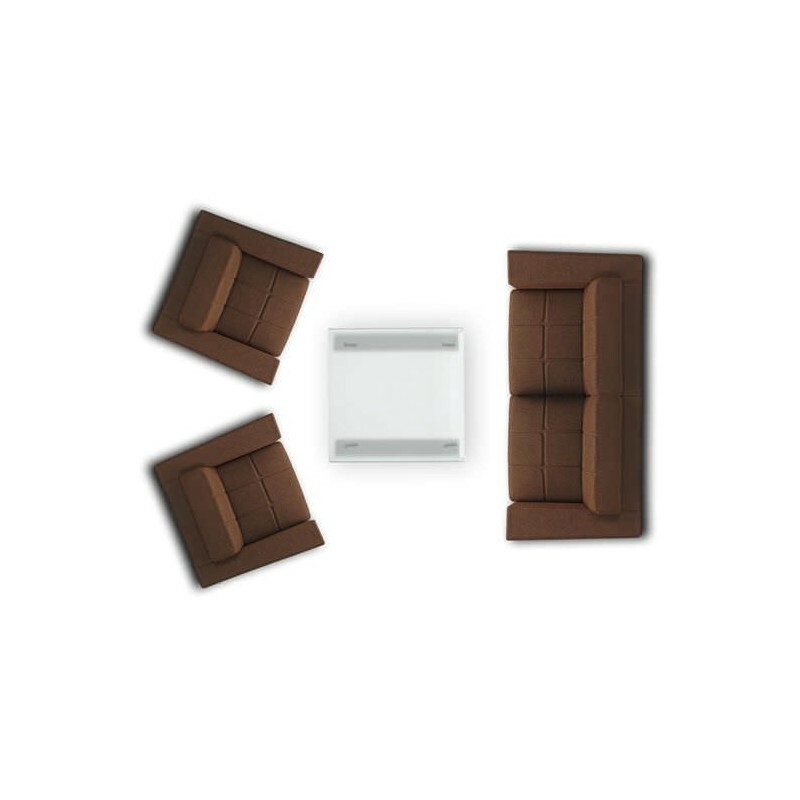 From this experiment, a duo of sofa and chair were born. After a seemingly infinite amount of prototypes, we managed to cover the structure whilst respecting the volumes. As the cover is loose, it can be easily changed to create a new look. The coloured taping adds a touch of colour and marks the lines of the piece. 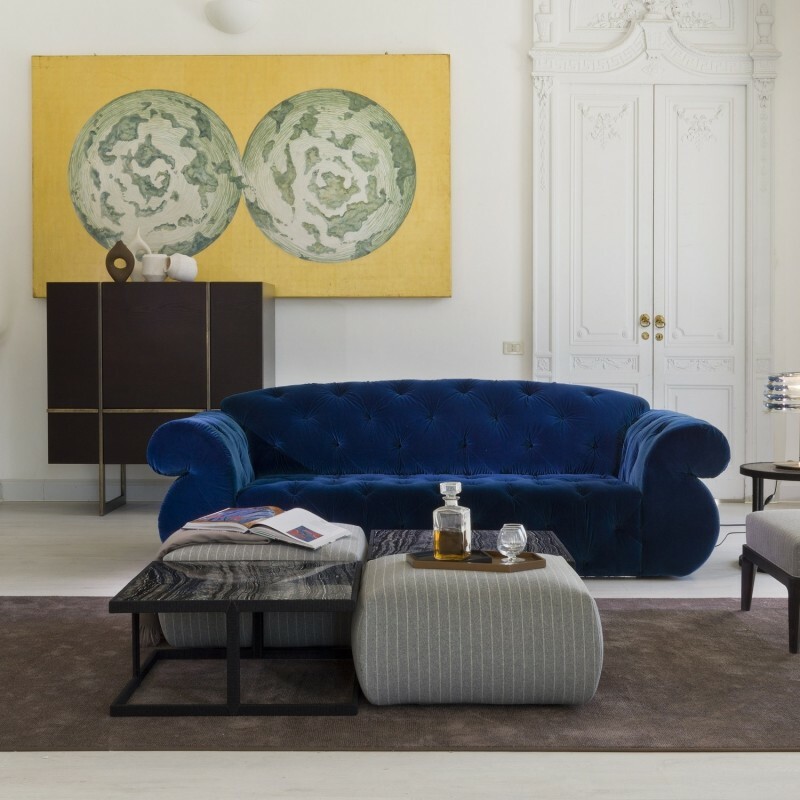 Borghese was designed by Noé Duchaufour Lawrance for La Chance, who created an elegant and comfortable sofa with a light design inspired by the the stone pines of Villa Borghese, situated in Rome. The legs reminds the branches of pines, instead the backrest is composed by three plane surfaces. Borghese suggests relax and rest, thanks also to its surprising comfort. The structure is made of steel and available in carbon black finishing, coating in fabric is available in a wide choice of colours. Charlotte by Modà Collection is an extremely refined sofa with structure in solid wood covered in non-deformable, differential-density expanded polyurethane. The seat cushions in differential-density expanded polyurethane are wrapped in natural feather. Coatings are available in a wide range of leathers and fabrics among which the precious Loro Piana cashmere coatings. Feet are in moka ash wood. Hoff, designed by Giuseppe Chigiotti for Driade is an extremely elegant and comfortable sofa inspired by the great Vienna of the early 20th century. It is able to decorate classic and modern environments with elegancy and discretion. 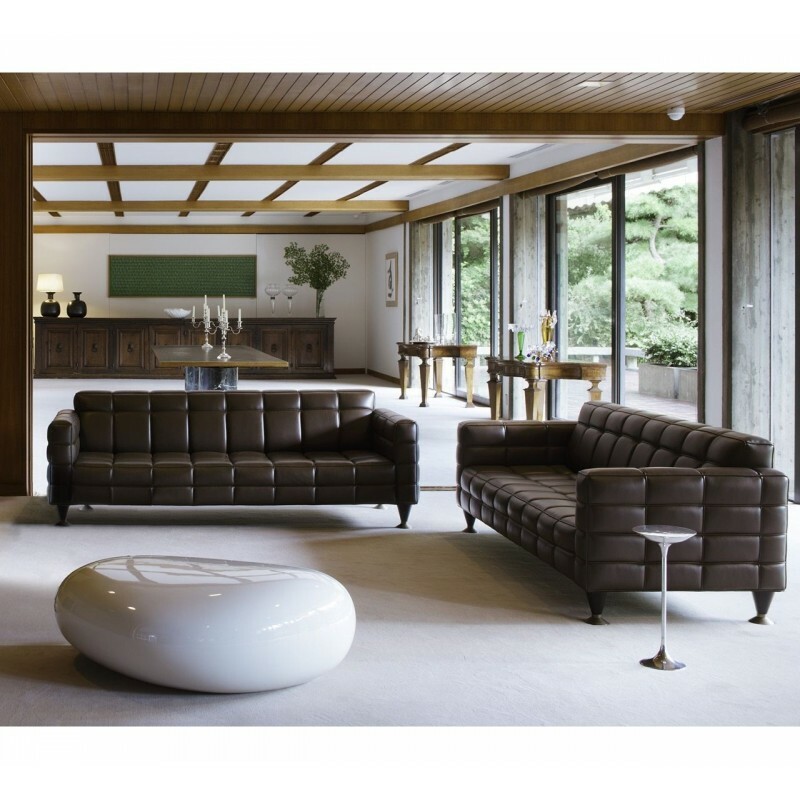 The structure is made of conglomerate wood and the sofa is padded with a polyurethane foam. Feet are made of turnished bronze and coating is available in fabric or leather in a wide choice of colours. 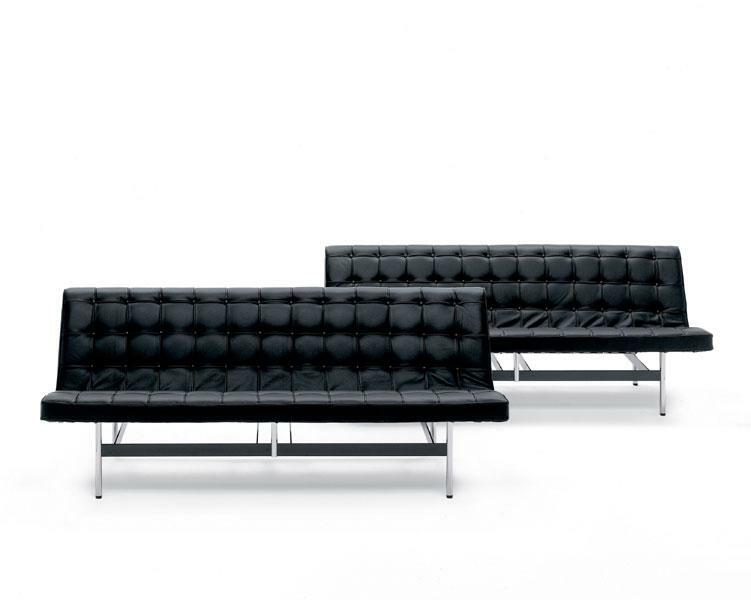 New York Sofa,designed in 1963 is a timeless and iconical article of ICF history. It’s authoritative and extremely elegant shape make it immediately recognizable, construction techniques used to make this meaningful symbol of high design are a mix of industrial production and tradition of hand-made craftsmanship. Memoria, designed by Luxy R&D for Luxy is an elegant and harmonized collection composed by an armchair and two/three seater sofas: ME1, ME2, ME3. Memoria is very comfortable and enveloping, for this reason it’is particulary suitable for waiting areas, from the one of a hotel, to the one of a company or a medical office. The entire collection is available coated in a wide selection of leathers and fabrics. 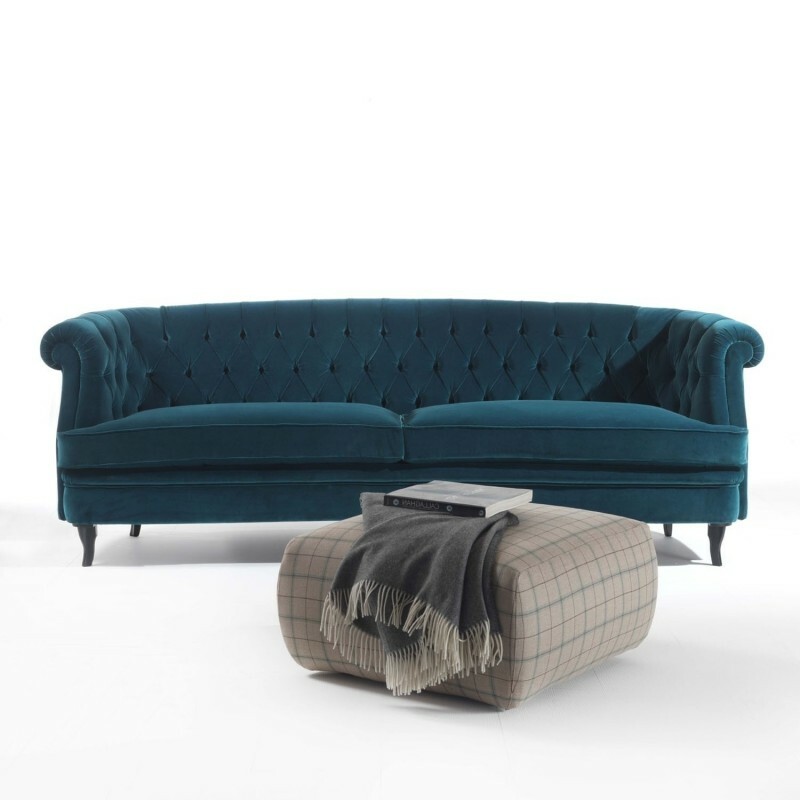 Paramount by Modà is a tufted extremely elegant sofa with a strong personality. It’s available in two versions. Coatings can be in leather, nabuk, eco nabuk, fabric and also with the precious Loro Piana covers. A wide range of colours is available. The structure is in solid wood covered in non-deformable, differential-density expanded polyurethane. Back and seat cushions are in differential-density expanded polyurethane. Diamond quilted. Paramount is characterized by the low backrest, the rounded armrests and the shape of a classic sofa. Ideal for the decoration of wide and high level environments, giving a spectacular visual impact. 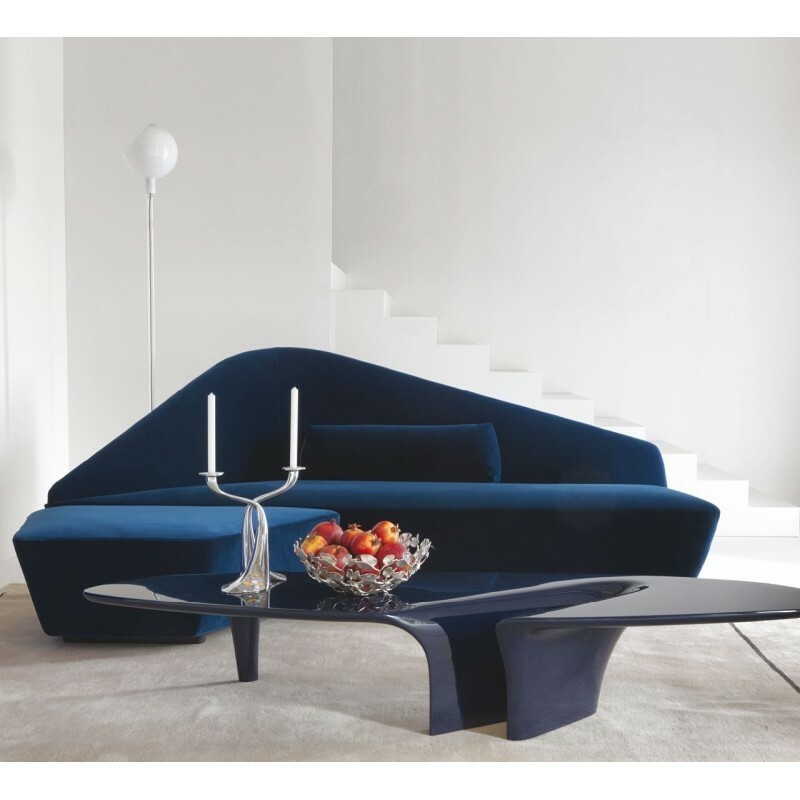 Verlaine sofa was designed by Lievore Altherr Molina for Driade, who created an unique and sophisticated decorative element characterized by a surprising comfort and a fascinating shape that immediatly catches the viewer’s attention. 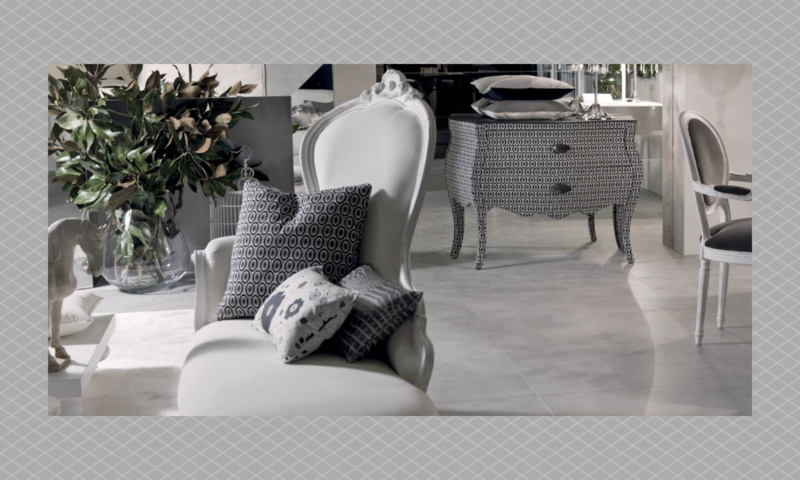 Verlaine is available complete with a square ottoman in two sizes and coated in fabric or leather in a wide selection of colours. The structure is made of polimex and MDF, padding is made of a differential density polyurethane foam and feet are available in wood. Verlaine sofa is ideal for the decoration of modern and exclusive living rooms and waiting rooms.